is a professor of behavioural neuroscience at University College London, where she founded the Institute of Behavioural Neuroscience and runs the Jeffery Lab. So, the map was truly blank and not much use for navigating. We humans have been mapping space for many centuries, and our maps have greatly improved over this time so that now they are very useful for navigating. In antiquity, maps such as the beautiful Mappa Mundi did have features of the landscape – islands and capes – that were arranged in roughly the right relationship to each other; but the scale was wrong, the shapes of the coastlines were wrong, and there was no convention to place North at the top of the page as we do nowadays. They were exquisite as illustrations, but little use for navigating because they lacked metric (measurement) information such as distance and direction. They also had nothing to measure distances and directions from, which in modern maps are called reference points, lines and planes. As maps evolved over the centuries, however, map-makers added metric information in the form of direction (North and South) and distances (latitude and longitude lines), as well as reference points (North and South poles), reference lines (the Greenwich Meridian and the Equator) and, eventually, when we started to move above and below ground, a reference plane (sea level). A map with all this information is useful even without islands and capes. Maps are for humans, but how do animals, which began navigating millions of years before parchment was invented, manage to find their way around? Do animal (and human) brains contain a map, and if so does it have islands and capes, North Poles and Equators, reference lines and so on? And if they do, where is it, and how does it work? How could a jelly-like blob of protoplasm contain anything as structured as a map? These questions have intrigued biologists for many decades, particularly because animals can perform astonishing feats such as navigating their way from the North Pole to the South and back again, like the Arctic tern; or returning home after being transported hundreds of miles away, like the homing pigeon. How animals (both human and non-human) work out their location is just beginning to be understood by brain scientists. There are maps in the brain, as it happens. The properties of these maps, which neuroscientists call ‘cognitive maps’, have turned out to be highly intriguing, and are helping us to understand not just how animals navigate, but also more general principles about how the brain forms, stores and retrieves knowledge. The neuroscientist John O’Keefe discovered cognitive maps in the 1970s. His research ultimately won him a share of the 2014 Nobel Prize in Physiology or Medicine. O’Keefe was not looking for maps in the brain. Newly arrived at University College London (UCL) from McGill University in Canada, he was actually interested in memory. Specifically, he was trying to understand a discovery that had been made a few years earlier by the neurosurgeon William Beecher Scoville and his colleague, the neuropsychologist Brenda Milner, which seemed to provide clues about how memories are formed and stored. Scoville and Milner were fascinated by one of Scoville’s neurosurgical patients, a young man known to the world by his initials ‘HM’. He had undergone surgery to cure his epilepsy and, tragically, developed amnesia as a result. Scoville and Milner thought his amnesia might be due to damage to his hippocampus. The idea that the hippocampus might be linked with memory was very exciting to brain scientists, as they had started to think that memory might not have a special location in the brain. Previous attempts to pin down where memories are stored had failed dismally. In the early 20th century, the Russian physiologist Ivan Pavlov, who had been studying learning in dogs, had suggested that memory consists of a complex web of associations formed between ‘representations’ in an animal’s brain. The genius and dominance of Pavlov’s idea meant that for many decades the prevailing view of learning was one in which even complex behaviours might be explained simply by the formation of associations between so-called stimuli and either other stimuli or responses. Famously, he conditioned dogs to form an association between the sound of a bell and the appearance of food. Translated into the language of neuroscience, this same process of association consisted of the formation of connections between neurons activated by the bell, which we might say ‘represent’ the bell, and the neurons activated by food. This idea received a boost when the Canadian psychologist Donald Hebb suggested that memories could be formed by changing the connections between simultaneously active neurons across the brain, to make their communication easier in future – a simple and yet profoundly influential idea. By following Hebb’s rule, the simultaneous activity of the bell neuron and the food neuron should cause the connection between them to become stronger, so that next time the animal heard the bell, its food neuron would more easily be stimulated – memory retrieval in action. Neuroscientists speculated about what this would look like in physical terms, in the brain itself. When a representation is activated, in recalling a memory for instance, what do neurons actually do? The brain is just a lump of flesh and blood, and yet our memories feel like replayed movies, very graphic and dynamic. We clearly don’t have tiny movies playing in our brains when we think or remember, so how could this actually work, and whereabouts in the brain does it happen? The answer to all this has been something of a Holy Grail for psychologists and neuroscientists. The American psychologist Karl Lashley was an early researcher in this area. He followed Pavlov’s approach of studying very simple learning under tightly controlled conditions, hypothesising that if an animal learned a new association, then it should be possible to find the site of this association in the brain by making small lesions in it at specific points, to see precisely when the animal suddenly forgot what it had just learned. His attempts failed completely, and in 1950 he concluded, with joking despair: ‘I sometimes feel, on reviewing the evidence of the localisation of the memory trace, that the necessary conclusion is that learning just is not possible.’ Scientists began to doubt that memory was located in a place in the brain. Perhaps, instead, it was distributed in various regions. This distributed view of memory had, however, to be re-thought in 1957 when Scoville and Milner published their study of HM. At last someone seemed to have found a specific place in the brain – the hippocampus – in which damage caused profound memory problems. Might the hippocampus be a memory organ buried deep in the brain? This was the question that led O’Keefe, in his new lab at UCL, to try to record the firing of single neurons from the hippocampus, to see if he could see memories being formed. His task was not an easy one. Neurons work by ‘talking’ among themselves, via nerve impulses or ‘action potentials’ – each neuron receives impulses sent to it from other neurons, and if it receives enough of these, it in turn generates an impulse of its own. These signals are minute – a few millivolts in size – and can be detected only by placing a tiny detector right next to a few neurons, and monitoring the electrical blips produced as the cells chatter to each other. By listening to this chatter with recording equipment, it is possible to work out what types of things each neuron is interested in. Using this technique, O’Keefe and his student Jonathan Dostrovsky set about recording hippocampal neurons to find out what they do on a normal day in a normal rat that was just foraging around for food. They made a remarkable discovery. Some neurons in the hippocampus would become active only when the rat walked into a particular place in its environment. After many control experiments to see if the cells were being activated by particular sights, sounds or smells, O’Keefe concluded that these cells were being stimulated simply by the rat’s being in a particular place, and so he named these neurons ‘place cells’. Instead of memory, O’Keefe seemed to have stumbled on a map in the brain, and he said as much in The Hippocampus as a Cognitive Map (1978), co-written with the neuropsychologist Lynn Nadel. Their basic idea was that neurons in the hippocampus form a memory of the animal’s environment, so that when the animal goes to a particular place, neurons representing that place become active, as if reminded about that place. However, this idea of a map in the hippocampus was not well-received, and generated a great deal of controversy. In fact, the idea that the brain could make a map pre-dated O’Keefe by some decades, and it had not been well-received back then either. The American psychologist Edward Tolman had already suggested this in 1948, on the basis of his studies of how rats find their way around mazes. Tolman was working in the Behaviourist era that Pavlov had initiated. Pavlov’s idea that all learning takes place by the formation of connections between representations is simple and yet very powerful, and it still holds sway today. However, for most of the previous century, the competing notion of cognitive ‘representation’ was an extremely limited one, and just meant activation of neurons by simple sensory stimuli (bells and food, etc). Psychologists were resistant to attributing behaviour to such invisible and magical-seeming internal processes as ‘thought’ and ‘imagination’ if there might be a simpler explanation in plain sight. Behaviourists explained learning as animals linking very simple sets of associations – ‘if I turn left here, a good thing will happen’, and so on. Tolman, however, discovered that rats were able to do things in mazes that they shouldn’t be able to do according to Behaviourism. They could figure out shortcuts and detours, for example, even if they hadn’t learned about these. How could they possibly do this? Tolman was convinced animals must have something like a map in their brains, which he called a ‘cognitive map’, otherwise their ability to discover shortcuts would make no sense. Behaviourists were skeptical. Some years later, when O’Keefe and Nadel laid out in detail why they thought the hippocampus might be Tolman’s cognitive map, scientists were still skeptical. One of the difficulties was that nobody could imagine what a map in the brain would be like. Representing associations between simple things, such as bells and food, is one thing; but how to represent places? This seemed to require the mystical unseen internal ‘black box’ processes (thought and imagination) that Behaviourists had worked so hard to eradicate from their theories. Opponents of the cognitive map theory suggested that what place cells reveal about the brain is not a map, so much as a remarkable capacity to associate together complex sensations such as images, smells and textures, which all happen to come together at a place but aren’t in themselves spatial. Is the hippocampus a map, or an all-purpose association device used for all types of sensory stimuli? How could we even decide between these two views? To understand this, we need to turn to the critical aspect of a map that makes it useful for navigation, which is that it needs to have metric information concerning distance and direction – the keystones that the Bellman’s map in The Hunting of the Snark lacked. No amount of chaining together stimulus-response associations could inject these spatial components into a representation: the brain needs to have a way of calculating distances and directions based on its incoming sensory data. This type of inference is exactly the type of ‘magical’ internal process that Behaviourists dislike, and it wasn’t until two further crucial discoveries came along that they had to admit defeat and concede that the brain might in fact be capable of metric inference. The first discovery was made by the American physiologist Jim Ranck, who in 1984 was recording neurons from a part of the brain near the hippocampus and found that some of them fired when the animal faced in a particular direction. When several of these neurons were recorded together, Ranck and Jeffrey Taube, his colleague at the SUNY Health Sciences Center in Brooklyn, New York, realised that different brain cells fired when the rat faced different directions, as though each had the job of telling the rat’s brain which way it was facing. It was as if the rat had an internal compass, except one with a different ‘North’ set for different rooms. Importantly, these ‘head direction cells’ worked the same way whether in the light or in the dark, with eyes open or closed, and anywhere in the room, so it didn’t matter exactly what the rat could see, smell or touch, it mattered only which way it faced. Also, importantly, every cell always had the same firing direction relationship to every other cell: if cell A’s preferred firing direction was to the left of cell B’s in one room, this was so in every room. Thus, direction seems to be an intrinsic property of the system – it seems to be only the orientation of the whole representation relative to the outside world that depends on sensations and perceptions. So, there is metric information about direction in the brain. What about distance? This brings us to the second major challenge to Behaviourism: the discovery of grid cells by Torkel Hafting and Marianne Fyhn, then part of a team at the Norwegian University of Science and Technology headed by Edvard and May-Britt Moser. The Mosers had been fascinated by the hippocampus since the very early days of their doctoral studies. Not long after qualifying, they visited O’Keefe’s lab in London to learn how to record these mysterious place cells that were so exercising neuroscientists. They then returned to Norway to establish a new lab of their own, where they imported O’Keefe’s technique and started studying inputs to the hippocampus. Their reasoning was that, to understand how place cells ‘know’ where the rat is, it is necessary to see what the upstream neurons are saying to them. What the team found was rather unexpected. In the entorhinal cortex, which is the part of the brain that sends more information to the hippocampus than almost anywhere else, they found a new type of spatial cells. These cells, like place cells, fired only when the rat went into specific places in the environment, which in itself was not so surprising. What was surprising, though, was that they didn’t just fire in one place, they fired in many places. More surprisingly still, these places together formed a remarkable, regular pattern in which each firing location was the same distance from all the neighbouring ones. 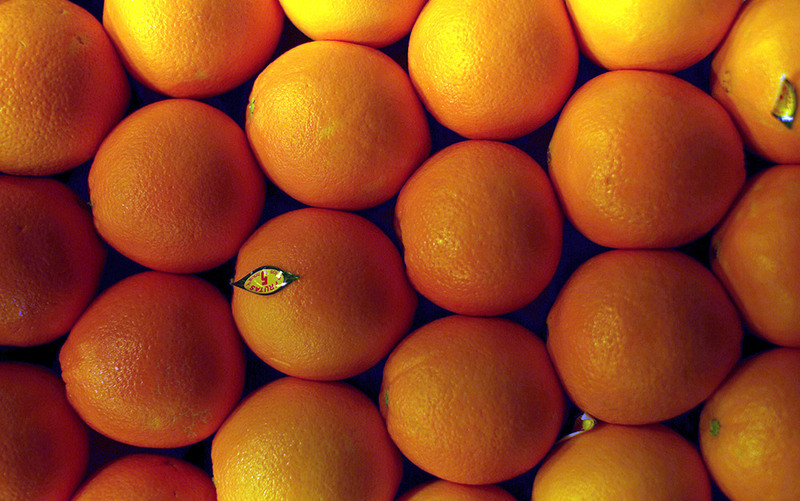 This meant that the entire array of fields formed a regular hexagonal pattern, like oranges when packed in a box, as illustrated below. The distance between the fields could be small (30 cm or so) or large, depending on the cell, and was so regular that its discoverers named the cells ‘grid cells’. The importance of grid cells lies in the apparently minor detail that the patches of firing (called ‘firing fields’) produced by the cells are evenly spaced. That this makes a pretty pattern is nice, but not so important in itself – what is startling is that the cell somehow ‘knows’ how far (say) 30 cm is – it must do, or it wouldn’t be able to fire in correctly spaced places. This even spacing of firing fields is something that couldn’t possibly have arisen from building up a web of stimulus associations over the life of the animal, because 30 cm (or whatever) isn’t an intrinsic property of most environments, and therefore can’t come through the senses – it must come from inside the rat, through some distance-measuring capability such as counting footsteps, or measuring the speed with which the world flows past the senses. In other words, metric information is inherent in the brain, wired into the grid cells as it were, regardless of its prior experience. This was a surprising and dramatic discovery. Studies of other animals, including humans, have revealed place, head direction and grid cells in these species too, so this seems to be a general (and thus important) phenomenon and not just a strange quirk of the lab rat. Grid cells were discovered in 2005, and more than a decade later we still don’t know exactly what they are for, but they are believed to be the brain’s equivalent of the grid reference on a map. Whatever their function, their existence does prove, however, that these structures in the brain – hippocampus, entorhinal cortex and a host of their neighbours – collaborate in forming a metric representation of space. This is a real map. It might not look like a conventional map because it’s not written on parchment and isn’t labelled with printed text and a compass rose. However, the neurons in these regions respond in a way that shows that they are somehow stimulated, not by bells and food, as the Behaviourists believed, but by abstract properties of the animal’s experience, such as how far it has walked and what place it has reached. The discovery of grid cells confirmed O’Keefe’s cognitive map proposal, and the Mosers and O’Keefe together shared the 2014 Nobel Prize in Physiology or Medicine ‘for their discoveries of cells that constitute a positioning system in the brain’. But where does this leave memory? This is where research in the hippocampus began: do place cells have anything to do with memory? Yes, we think they do, and research now aims to uncover precisely what. One of the most important implications for humans, arising from study of the hippocampus, is its involvement in Alzheimer’s disease, which begins in the entorhinal cortex (where the grid cells are) and spreads throughout the hippocampus and thence to the rest of the brain. The first symptom of Alzheimer’s disease is often disorientation (eg, getting lost on the way back from the shops), but this progresses rapidly to a more general amnesia. Scientists now know that the hippocampus is both a map and a memory system. For some reason, nature long ago decided that a map was a handy way to organise life’s experiences. This makes a lot of sense, since knowing where things happened is a critical part of knowing how to act in the world. The quest now is to understand how memories get attached to this map. Armed with this knowledge about memory, we might one day be able to study memories directly, and even, perhaps, manipulate them – to soften traumatic memories, for example, or repair damaged ones such as those affected in Alzheimer’s disease.